Floyd Mayweather Jr.'s father still has it. He was in the ring with some douchebag boxer and the douchebag tried to suckerpunch old Floyd. But the former boxer still has his skills, despite being 61 years old, and he proceeded to put a beating on the punk kid, who fled the ring. Then the douchebag tried another sucker punch when Floyd's back was turned and things turned out bad for him, and rightly so. 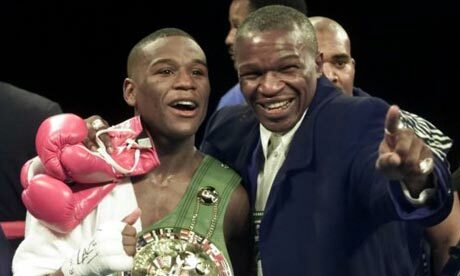 The best part of this video is watching the 61 year Floyd, who was a defensive master when he boxed professionally, use the shoulder roll that his son employs to set up the straight right hand and left hook. Twas a thing of beauty!